Nouba Earth Powder - 01Baked bronzer with a delicate and light consistency. For the brightness of summer sunlight on your skin. Perfect to make the complexion more luminous and naturally tanned. 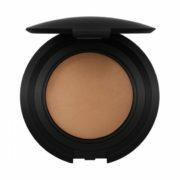 It neutralizes the red and evens out and enhances all skin tones. Useful for a quick touch up during the day.